MyBayCity.com Every Artifact Tells a Story: Crystal Ice and Water Co.
Every Artifact Tells a Story: Crystal Ice and Water Co. Editors note: Continuing our articles on local history, we re-publish the following excerpt from the Bay County Historical Society E-newsletter. Each month that newsletter explores the miscellany of recently donated items. Each artifact tells a tale that contributes to the larger narrative of Bay County's past and present. These articles are written to take readers beyond the galleries for a glimpse at the Museum's extensive holdings. Crystal Ice and Water Co. 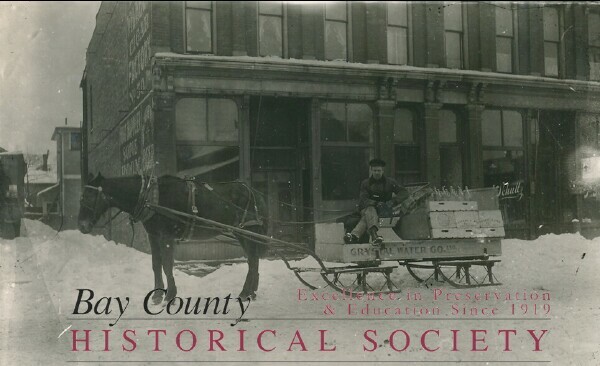 The Bay County Historical Society was assembled in 1919 with the intent of promoting the preservation, collection, and study, of Bay County's story. We have collected artifacts with that purpose in mind ever since. BCHS accepts donations from an average of 40 individuals every year. These donations are comprised of hundreds of individual objects, each with their own story to tell about the unique history of Bay County.